The day a family decides to look into assisted living in San Antonio, Texas it does not have to be a difficult decision. It can be looked at as a positive move that will enhance the golden years of a loved one. 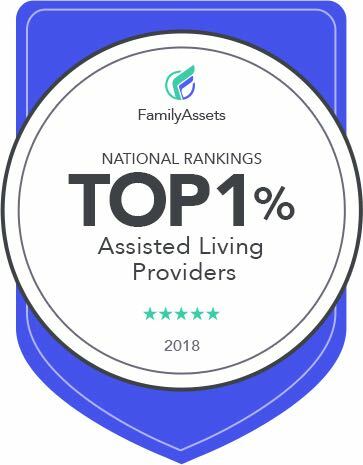 There are many reasons a family looks for assisted living but every family wants to know that their mom, dad or grandma, or their loved ones are being well cared for. They want them to be safe and happy wherever they are living. Assisted living in San Antonio can mean that a elderly person will have more opportunities to socialize with their peers than they would have in their own homes. Assisted living offers daily activities that engages a person’s mind, body, and spirit. Activities can range from card games to arts and crafts projects. Another way that they will socialize with their peers is at meal time. When a senior citizen lives alone at home, that means they are also eating alone, if they eat at all. Sharing a meal with others in a homey dining room is always a positive part of assisted living. Those meals will be well-rounded, filling, and healthy. When a senior moves into assisted living, they can be assured of great care. There will be staff on shift 24×7. Medications will be monitored and administered on a schedule. The buildings will be cleaned and maintained routinely. The family may be concerned about security and that is a bonus to assisted living. Security is taken seriously and the facility meets and exceeds all security standards. When it is time to move a loved one into assisted living in San Antonio, TX, it could be a hard decision for the family, but it doesn’t have to be. There are opportunities available to seniors when they live together that wouldn’t otherwise be there if they were living alone. Social interaction, engaging activities, healthy group meals, and 24-hour monitoring are all great features of assisted living. A loved one will have time outside where they can enjoy the San Antonio sun and also meet visitors whenever they want. There are many advantages of choosing a top assisted living facility for your senior loved one.